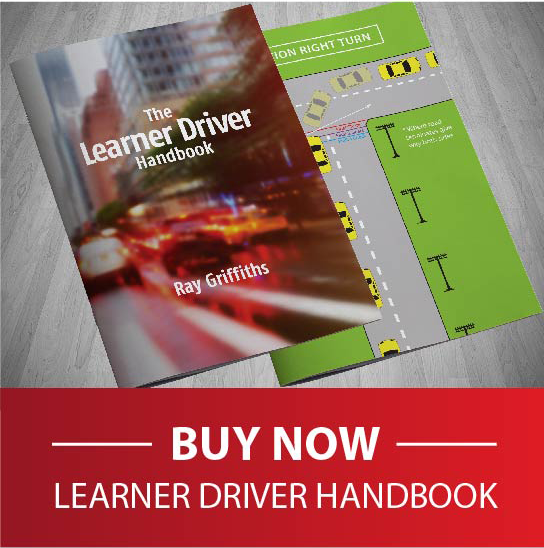 After 16 years operating The Robina Driving Academy, teaching young people as well as people from all age groups to drive cars and pass their driving test , The Learner Driver Handbook , is a resource of practical advice on how best to have people of all ages to gain the abilities required to drive safely. A synopsis has been set down for both supervising driver and learner driver to follow and practise to guide them towards their goal of becoming a safe driver for life. Safe driving practises, covered in the synopsis, include the necessity of learning adequate scanning , linked to commentaries I.E vocalising your drive .Negotiating multi-lane roundabouts and dealing with block-out situations along with system of vehicle control . Hill starts and parking are explained .Expecting the unexpected anticipating hazards before they occur and preparing for those difficult situations. Chapter summaries help the learner driver and supervisor to identify key points. Routine car care is covered and methods are explained on how to avoid breakdowns before they occur along with changing a flat tyre if that should occur (and it will happen) . My father once quipped, that ’”the tyre is only flat on the bottom” never the less it must be changed. P-platers high accident rate during the initial six months following their practical test is covered including possible reason why this situation occurs and remedial solutions offered. As a driving instructor it became obvious to me ,that many people are disorganised in their approach to learning how to drive ( or supervising) , and I have sought to correct this by offering a Step by Step approach that is practical and easy to follow from day 1 until practical test day and after. Learning to drive and supervising learners should be a pleasant experience, you can purchase hard copy book for $ 29.95 plus $6.00 postage and packing or download illustrated PDF for $29.95. At the shopping cart.